NASA tallying centre to give results within 8hrs after votes polling station tally. - Bana Kenya News, Real African Network Tubanane. Home News NASA tallying centre to give results within 8hrs after votes polling station tally. NASA tallying centre to give results within 8hrs after votes polling station tally. 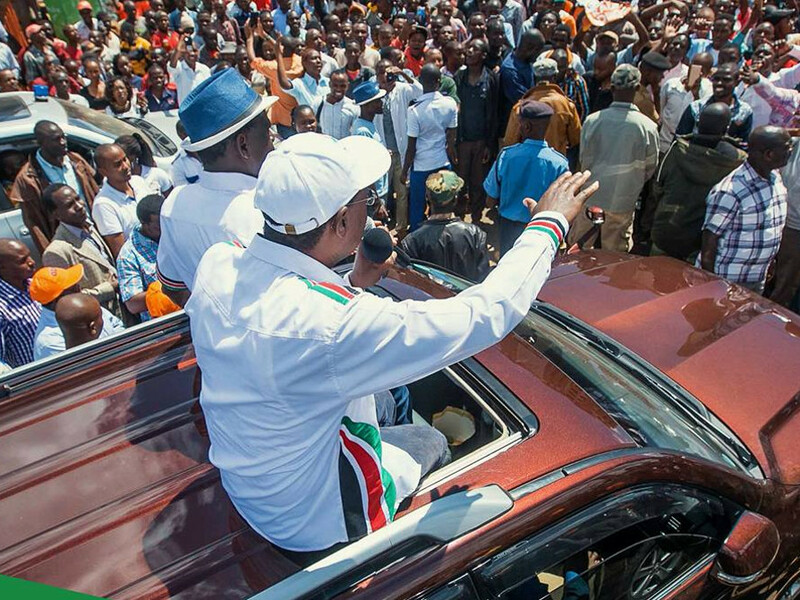 The NASA flag bearer Raila Odinga has rubbished the claims about chaos cultivation saying that he is planning to have a pure credible election and IEBC should prepare to have it too. The NASA coalition has heavily funded international IT experts to expose any rigging with IT tools in all polling stations. The NASA tallying centre will be equipped with high standard pieces of equipment donated by friends across the world. The Opposition coalition is planning to set up two tallying centres, one in Nairobi and a backup centre in Arusha Tanzania. NASA leader Raila Odinga is working with IT experts, mostly from Ghana and Germany, to forge a secret 'win-in-spite-of-rigging' system and super-fast tally, the experts say. It includes a mechanism to ensure no votes are stolen or added. The dead voters will not vote this time round because the measures will frustrate IEBC plans to rig on behalf of Jubilee. "The system is intelligent enough to know how many voters are registered at each polling station and if there is any attempt to inflate the figures the system will reject (them)," one foreign expert told Bana. Experts are already in Nairobi. In a strategy to thwart what he calls perennial vote rigging, Raila Odinga and his techies have developed an application that simultaneously will transmit results from the polling station to both constituency and national levels. On March 28, Raila said his team will deploy at least 10 agents to every polling station. Some will take videos and photos of electoral materials, including Forms 34 and 36, which would be irrefutable evidence in the case of a challenge. Using polling stations' voter registers, agents will monitor who has not voted, trace them and ensure they vote. The Team will work closely with the agents across the country from all 290 constituencies. According to the techs, the parallel tallying centres will enable to count all the votes cast and also expected to have video cameras in Major swing polling stations across the country.